The Cleveland Browns hit the road to play the New York Jets on Sunday at MetLife Stadium. The opening line for this matchup has the Jets as 3 point favorites and the over/under was set at 40. The Browns had a 9-5-2 ATS record last season, which meant they covered the spread 64% of the time. Their over/under record finished at 5-11-0. The Jets covered the spread 40% of the time, finishing the campaign with an ATS record of 6-9-1. Their over/under record was 7-9-0. Josh McCown will take the reigns for the Cleveland Browns after the departure of Brian Hoyer to the Houston Texans. In his 11 games played last season, McCown finished with 2,206 yards via 184 completions in 327 attempts. He finished with 11 touchdown passes and 14 interceptions thrown. He also had two games in which he threw for over 300 yards. His number one target will be Andrew Hawkins in their first game of the season. Hawkins finished 2014 catching 63 balls for 824 yards, giving him an average of 13.1 yards per catch. Hawkins caught two touchdown passes on the year and had one game in which he had over 100 receiving yards. The Browns will also hope to get contributions out of Isaiah Crowell in the starting running back position. Last season Crowell ran for 607 yards on 148 carries, giving him an average of 4.1 yards per carry. He scored eight rushing touchdowns on the year and didn't have any games where he ran for over 100 yards. Ryan Fitzpatrick will lead the Jets into their home opener as Geno Smith will be out until at least week 6 with a broken jaw from a fight he got into with a teammate this preseason. Fitzpatrick played 12 games in 2014 and finished the season with 2,483 yards. He threw 17 touchdowns and eight interceptions and his 197 completions out of 312 attempts gave him a completion percentage of 63%. 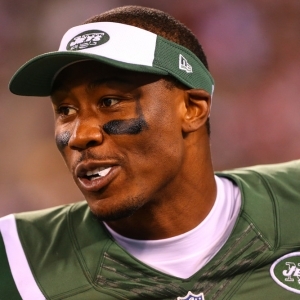 Fortunately for him, the Jets got him some help in the offseason in wide receiver Brandon Marshall. Marshall finished the 2014 season with 721 yards on 61 catches. He caught eight touchdown passes and had two 100 plus yard games. With the help from Marshall and Eric Decker, the Jets are hoping to have a more lethal passing attack. The running game will be headed by Chris Ivory. Ivory played 16 games last season and ended with 820 yards. He scored six touchdowns last season and ran for over 100 yards on 2 different occasions. The Browns are 4-0-1 against the spread in their last 5 games in September and 4-1 ATS in their last 5 road games. They are 4-1 ATS in their last 5 games on field turf and are 3-12-1 ATS in their last 16 games in Week 1. The under is 9-0 in the Browns last 9 vs. the AFC, 11-1 in their last 12 games overall and 5-1 in their last 6 road games. The over is 4-1 in their last 5 games in September. The Jets are 4-0 against the spread in their last 4 vs. the AFC and 4-1 ATS in their last 5 games overall. They are 0-4-1 ATS in their last 5 games in September. The under is 6-1 in the Jets last 7 vs. the AFC and 4-1 in their last 5 games on field turf. The under is also 6-2 in their last 8 games overall and 5-2 in their last 7 games in Week 1. Head to head, the favorite is 5-0 ATS in their last 5 meetings. The under is 4-1 in the last 5 meetings.